For her first retrospective in Italy, American sculptor Louise Bourgeois (Paris, 1911 – New York, 2010) has created new works combined with a selection of some of her most significant recent works, characterized by explicit references to sexuality motherhood and subconscious. Her new sculptures made of clothes continue her preoccupation with architecture, the body and the immediacy of memory. Taken together, these works expand her theme of sewing as a metaphor for healing and reparation. The act of mending and joining by the thread—itself a symbol of fragility and time—becomes a way to achieve a psychological inner piece and wholeness. The exhibition revolves around different bodies of works. 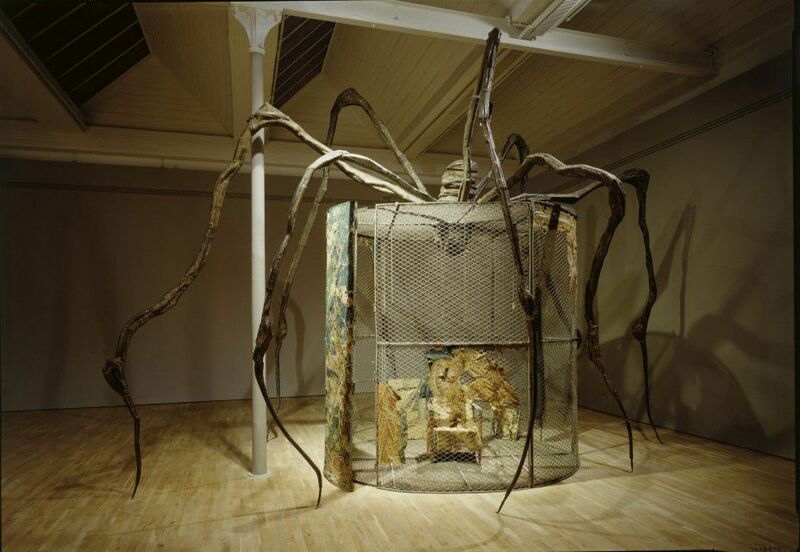 A group of Spider (1996) of gigantic size, which meaning and function the artist identifies with the memory of her youth, are intended as an ode to her mother. 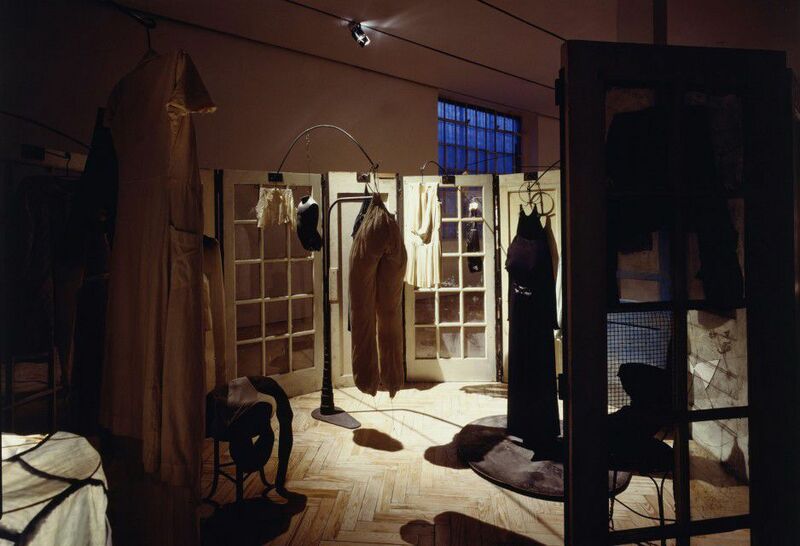 Cell (Clothes) (1996) and Spider (1997) are closed architectural structures of connected doors or woven iron fences. Furnished with sculptures made by the artist and combined with objects belonging to the artist, they create territories of the ‘inescapable’ full of psychological resonance. 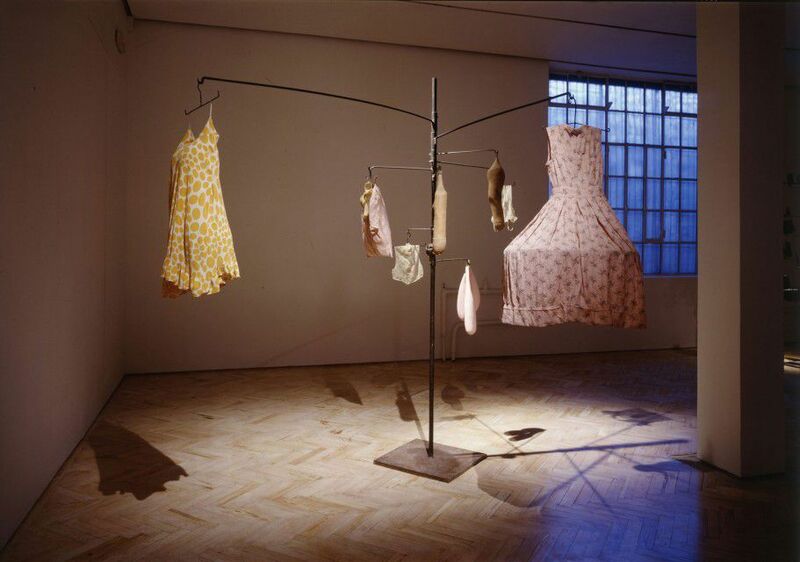 Untitled (1996) is a series of recent sculptures made of clothes, some of which date back to when she was five years old. The garments, which form a diary of her life, hang from steel poles, combining some more figurative with more abstract forms. 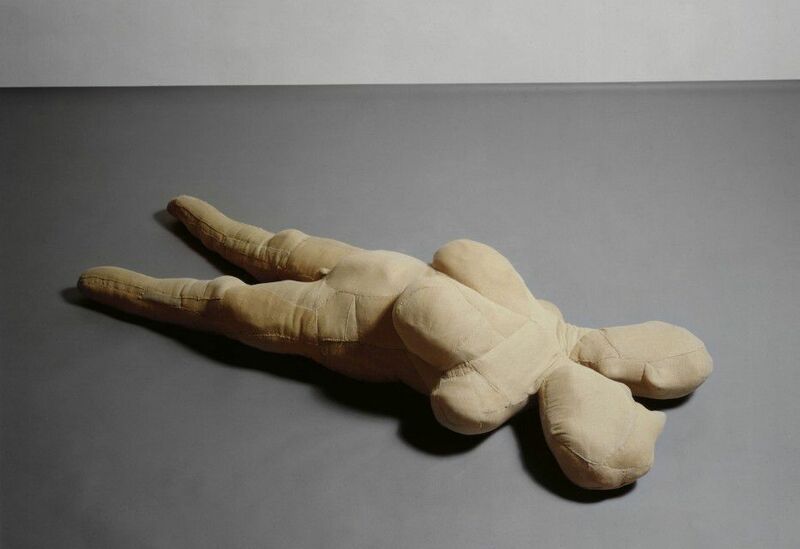 Couple, The Couple II and Single III (1996), life sized figures made of cloth, continue Bourgeois’s exploration of “the one and the other”. Works such as In Respite (1993) and Sutures (1993), made of iron pole-structures, carrying big spools of thread, needles and rubber appendices, deal with memory and the continuous flow of time.